These large compound action handheld crimping pliers are made in the U.S.A. The casting is Almag 35, the main load bearing hole is reamed and two Bronze bushings are pressed into place. The casting is powder coated to resist rusting. 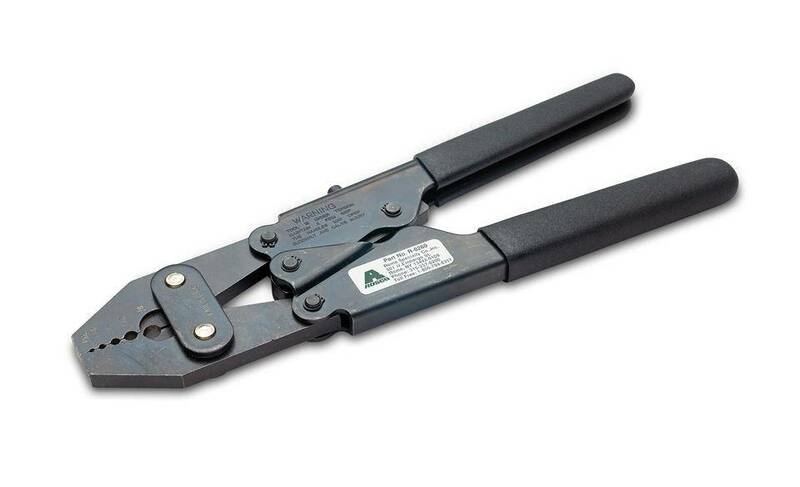 The crimping jaws are made from 4150 cold rolled steel, heat treated to RC 44 to 48. The crimp cavities are buffed to a high luster to prevent sticking of the sleeve after crimp. 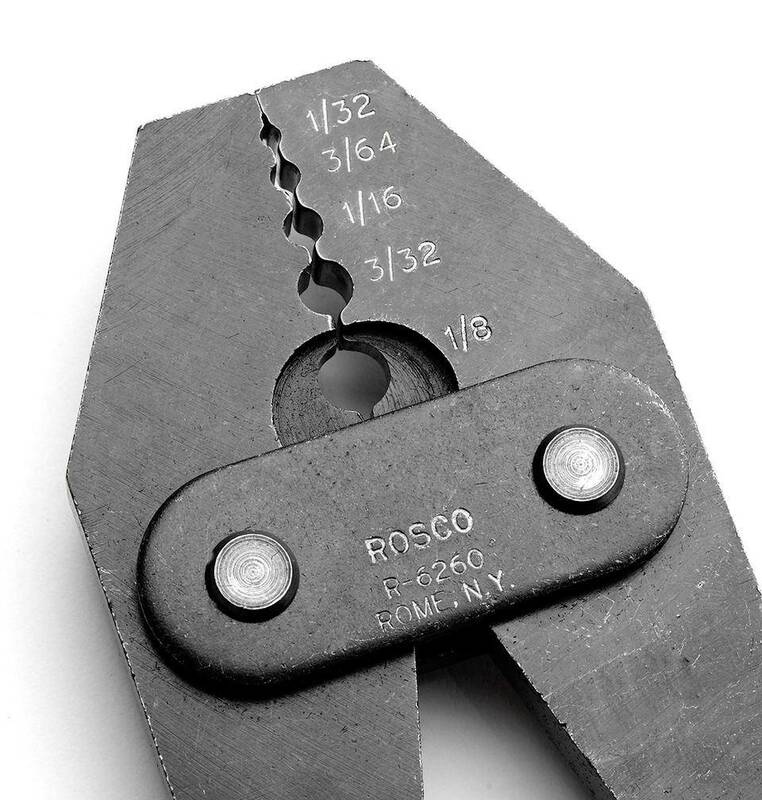 All pivots are hardened and ground to resist wear under high crimping loads. We have 3 of these in our in-house rigging facility.